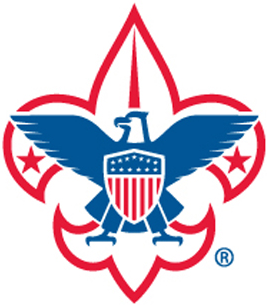 Contact George Williams: gwilliams@dmvc.org for information on Scouting in Powder Mill District. Activities of note under the Activities & Civic Service umbrella during 2013 included: two Cub Family Weekends and Webelos Woods held at Rodney Scout Reservation during October; the Scouting for Food drive in November; assembling food baskets at the Ministry of Caring in November (to which the Powder Mill Chapter's OA members and families contributed frozen turkeys); and our Cub and Boy Scouts marched in the Wilmington Jaycees Christmas Parade and the Claymont Christmas Parade. To get involved in either planning or participating, please contact Barbara Wiecheki phone: (302) 478-6730. Here you will find a list of other organizations' programs for scouts. No matter in what service activity your unit engages (including Eagle Scout projects), please register the number of persons and hours served in the Good Turn for America database. If you aren't familiar with this tool, please let me know and I'll get you instructions on how to use it.